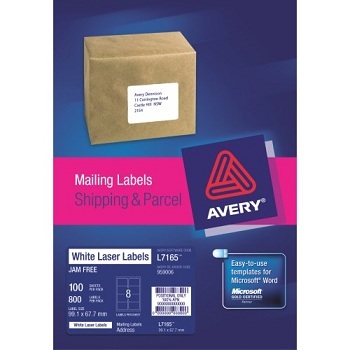 Premium quality White Avery® Quick Peel™ Mailing Labels let you create professional-looking, custom labels in minutes. 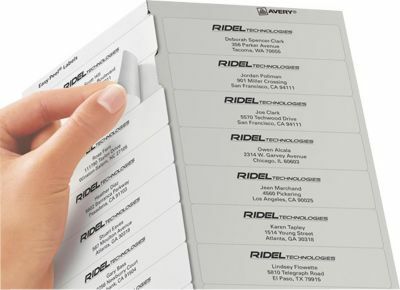 Simply print your labels then use the Pop-up Edge™ for fast peeling. Just bend the sheet back to expose the label edge, peel, then fold the sheet back to flat in a jiffy. 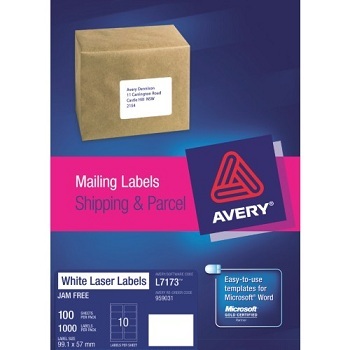 New TrueBlock® feature (on Shipping Labels 1-10/Sheet) means the labels are completely opaque, covering other logos, text and labels. 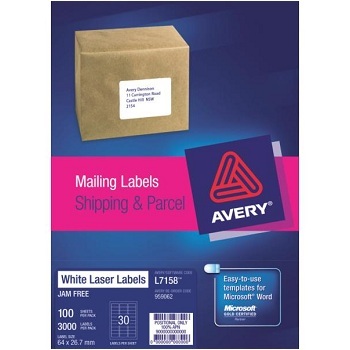 Guaranteed Jam Free printing on laser printers. 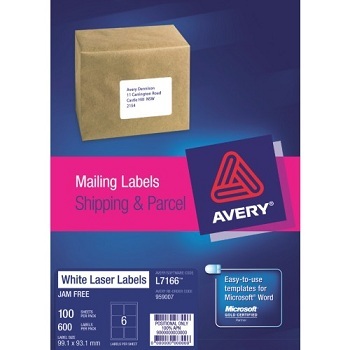 Avery White Laser Labels ideal for shipping use, large boxes and packages. Avery White Laser Labels ideal for shipping use, large boxes and parcels. Avery White Laser Labels ideal for shipping use, envelopes and small parcels. Avery White Laser Labels ideal for mailing and addressing, particularly DL envelopes. 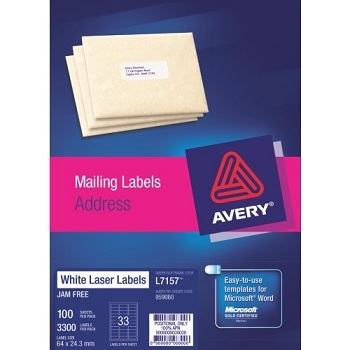 Avery White Laser Labels ideal for mailing and addressing, particularly envelopes. Avery White Laser Labels ideal for mailing, recommended for return addressing.